I know I do. What if I move abroad after graduation? What if I stay in Boston? What if I don’t get a job at all? The concept for an exciting new show, Flipside, hangs on this question. 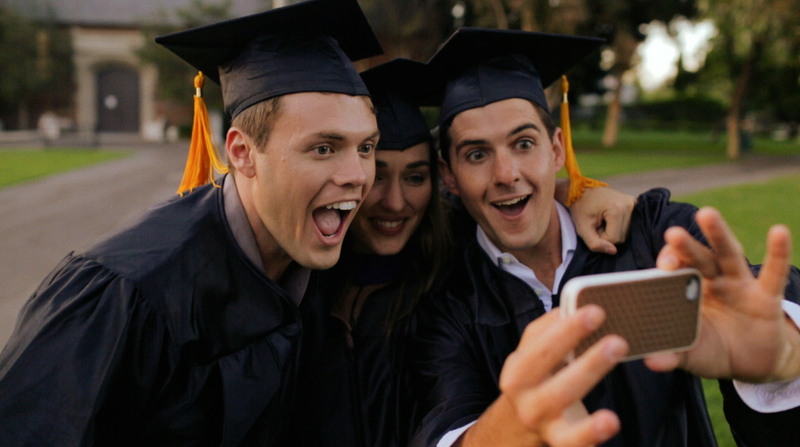 Here’s the story: three friends have recently graduated college and are at a crossroads. (Sound familiar?) They make a bold choice. Longtime friends Mark Feuerstein, Sam Friedlander and Adam Stein are no strangers to this ‘moment of truth,’ and because of this have dreamed up an intriguing series that follows the trio as they live out the consequences of both heads and tails. “The idea just came naturally from us talking about where we were in our lives…but also looking at our friends from both high school and college who had gone different routes,” says Friedlander. But this “natural” idea comes not just from creative teamwork, but from personal experience. “I know when I was finishing college I was really really torn about what I was going to do,” says Stein. “I applied to law school and also film school…I think it’s very normal. Everyone goes through that. That’s why we wanted to create a show with those themes, because we felt like people from all walks of life would relate to it. College aged viewers—like me—feel especially invested even just after three minutes. We need to make sure everything turns out okay for the three eerily familiar characters. They’re a lot like everyone we know, and model choices that we are facing at this very moment. What will happen if I decide to move home after school or if I move to a strange, new place; if I decide to stay with my college sweetheart or let them go in search of someone new? But what will the show look like on an episode-to-episode basis? This prompting of introspection, whether for a 20 year old or a 60 year old viewer, is what makes the idea of Flipside feel so important. It gets at a very important question: is there such a thing as a wrong choice? The series may give us an answer in the end if and when we discover which choice the characters actually made, but Stein and Friedlander weren’t spilling any spoilers. Stein offered: “We do have some very cool ideas for how we want to end the series,” but nothing more. Realistically, only time will tell what the right choice was.